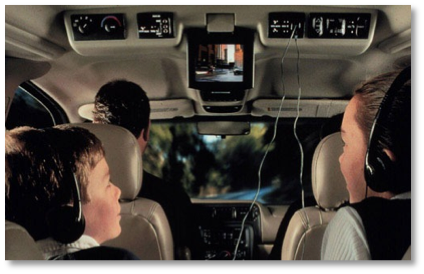 Help GM come up with a new name for one of its minivan variants – the first-ever U.S. minivan to be equipped with a factory-installed video entertainment system. 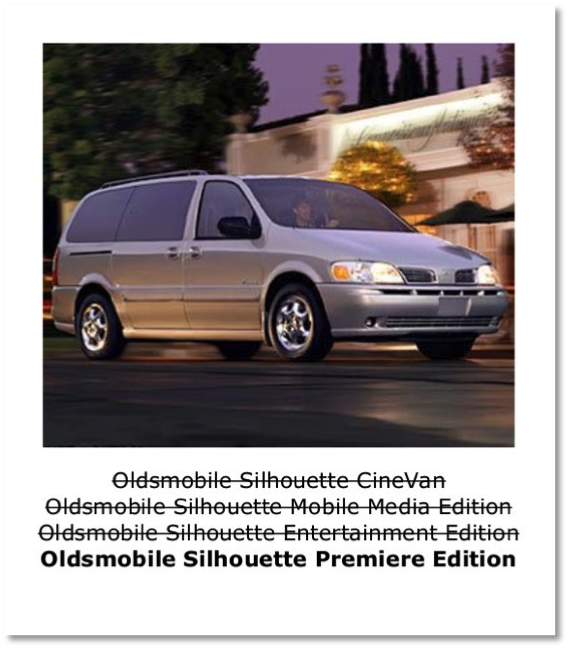 At Frankel/Arc Worldwide, we’d won the Cadillac and Oldsmobile sales promotion/sales support business, and one of the first tasks I was given as head of concepting/copy was to participate in an “all-agency panel” to come up with sub-branding for the Oldsmobile Silhouette model that would feature a factory-installed video system to keep second and third-row passengers amused…and forgetful that they were in an Oldsmobile minivan. For a kid from Detroit? Helping to name a car was a dream come true. It was a lot of brainstorming, a lot of suggestions, and a lot of process. 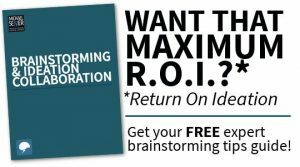 No joke: in the end, the client ended up choosing the very first name I’d scribbled down on a notesheet at the very first meeting. Genius on my part? No. Just a stellar grasp of the obvious.